At Tanglwood Resorts, in the Poconos, you'll find plenty of opportunities for family fun or a romantic getaway. Choose a comfortable condominium in one of four locations - overlooking Lake Wallenpaupack; on the nearby 18-hole golf course, on the mountain top, or within the resort village. Fully equipped kitchens, with hot tubs and fireplaces in select units, for your comfort and convenience. 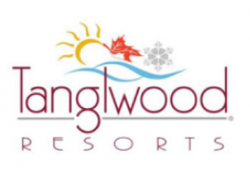 Make your reservations with Tanglwood Resorts and ski the Pocono Mountains!